Ed McGrath with his daughters Chelsea and Brittany. I just got home from attending a memorial service for two lovely people killed by a heroin addict who apparently nodded off and veered into the oncoming lane and struck their motorcycle. This is a tragedy that is made worse by the fact that the two people were father and daughter. My brother’s deceased friend Ed loved sharing his passion for riding with his daughters…something I have done for many years with Jeannine. The unimaginable happened when something completely out of their control occurred and their lives ended in a flash. Ed was doing nothing to jeopardize his and his daughter’s safety except the fact that they were on a motorcycle. It was 3:30 on a sunny midweek afternoon with good visibility and little risk of drunk or stoned drivers (unlike midnight on a Saturday night). Yet, Ed and Brittany were at the receiving end of a one-in-a-million chance that a stoner would cross the centerline just as they were in the vicinity. Why it happened simply cannot be explained. Some would say that putting you and a loved on one a motorcycle is jeopardizing your and their safety. And they would have a good argument. I’ve known too many people who have lost their life while riding and there is nothing telling me that that trend will end anytime soon. In reality, there is not a lot I can say about the situation that killed my friend and his daughter. It sounds like it happened instantaneously, so that parking lot practice to improve his braking or swerving skills wouldn’t have likely helped. So, what does this all mean? To me, it is yet another sobering reminder that riding a motorcycle comes with the real risk of death, or worse. I know we all “know” this as fact, yet I’m not sure we really “know” what it means until it happens to us. So, we keep riding, as we should. Just remind yourself from time to time just how vulnerable you are and to not take your safety for granted…it is not guaranteed. What we can take away from tragedies like this is a renewed diligence to be the best riders we can be. Not only for ourselves, but for our loved ones. The pain and sorrow I saw at the memorial service today is evidence of just how deeply we are missed. Sometimes, as is the case of Ed and Brittany there is truly nothing we can do to prevent a crash. So, we must decide…do we stop riding? Or do we ride on, knowing the odds are mostly in our favor? You choose. Thankfully, the vast majority of incidents are avoidable with excellent mental and physical skills. 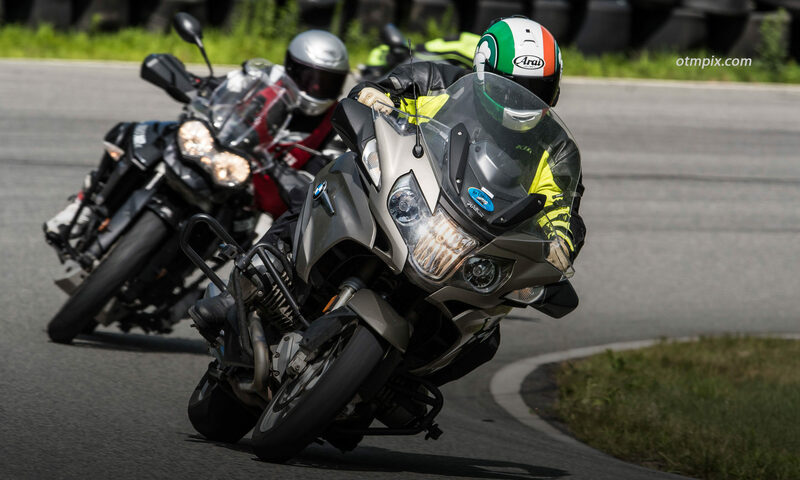 Do yourself and the people who care about you a big favor and learn all you can about motorcycle safety and refine your control skills and ability to perform evasive maneuvers so that you at least have a chance of avoiding tragedy. So sad on many levels, Ken. 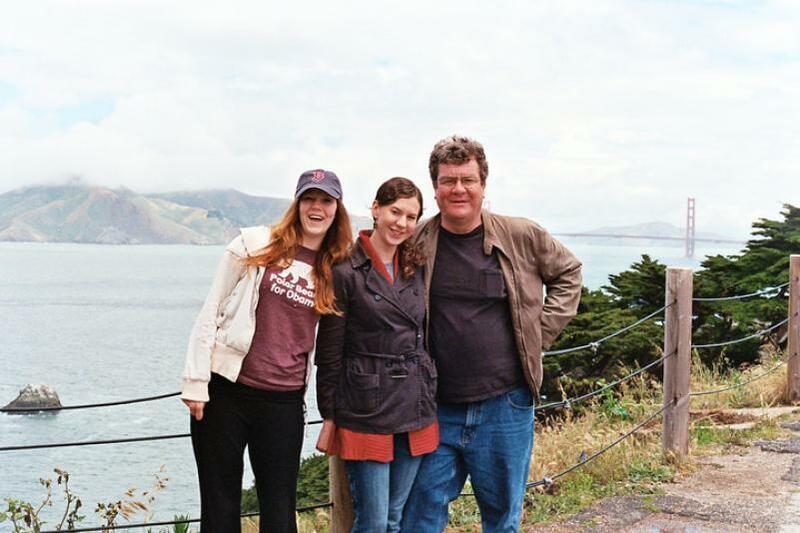 Thank you for sharing links to Brittany and Ed’s obituaries: Those are epic lives cut short. I’m immediately reminded of Larry Grodsky’s death. So sorry for your loss; thanks for sharing your thoughts and how tragic events like this can affect all of us. I’m sorry to hear about your friends,Ken. Every time I ride I try to be very aware of my surroundings and what may pose a potential threat. You never know what you will encounter on the road,which is why I always ride with armored jacket,pants,boots,gloves & a modular helmet. I wish more riders did the same,for everyone’s safety. Sad… a dedicated Father and a loving Daughter… murdered by a drugged-out driver, there are far more drug impaired drivers out there. Devastates families, I hope the family and friends will recover from this tragedy. It’s something I constantly worry about while riding with my son as a passenger. Even with ATGATT, the 1-in-a-million chance that something may happen scares me to no end. But the joys of riding outweigh the risks, so I ride on. Sorry to hear Ken. My condolences. I’ve had family and friends perish in their cars due to some kind of substance/alcohol use by the other driver. As usual they lost their life while the high/drunk individuals walked away with just scratches. Bike or cage it does no matter. Beautiful and true words. Nothing else to add, maybe just that I’m sorry about your friend and his daughter. Thanks for sharing this. Next PostNext Guest Writer: When Do You Lean?